Only The Demo Version Of This Game Has Been Released, Full Game Is Still In Development. However, Demo Version Is Also Great. In This Game, You Face Challenges, Kill Monsters/Skulls For Freedom And Survival. You Are In A Room When The Game Starts. There Are Many Room Types Like Treasure Rooms, Challenge Rooms, And Shop Rooms. Find The Keys – Enter Into Room. Once You Entered, The Door Will Be Lock Until You Kill All Skulls. 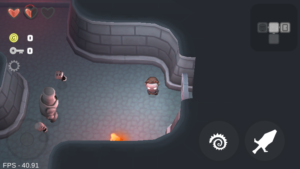 Destroy Pots To Find Treasure Or Keys. You Have Limited Health, So You Need To Protect Yourself From Skulls. They Will Try To Eat You. You Attack On Them With Your Sword. 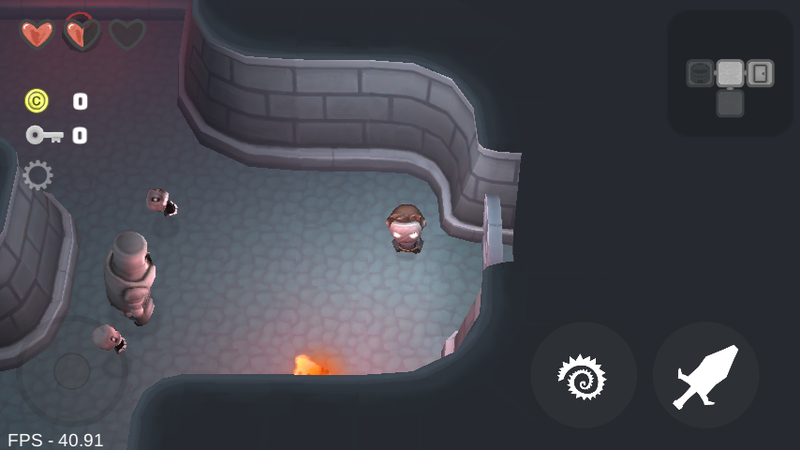 Rooms Are Randomly Generated When You Restart The Game. Sometimes Killing Skulls, Monsters Gives You Reward Like Health, Treasure Or Key. At The End Of Dungeon, A Boss Will Wait For You. Overall It’s A Nice Game, 3D Graphics Are Excellent. The New Update Brings More Improvement In Game Play, Graphics, And Controls. However, It’s A Demo Version. Full Game Is Still In Development. Size – 30 MB[Approx. ], Price – Free[Contains Ads], Status – Demo Version. Download – Here(Google Play Store). If You Have Any Suggestions On New Games, Please Submit-Here. For Game Updates, Like Us On Facebook – MrGuider, Follow Us On Twitter – @techhuntr, Or Get Latest Updates Right To Your Inbox – Subscribe Us. [Play Android Games On PC – Check Out Best Android Emulators]. Copyright © 2018 MrGuider.Org Powered by WordPress and Wellington.